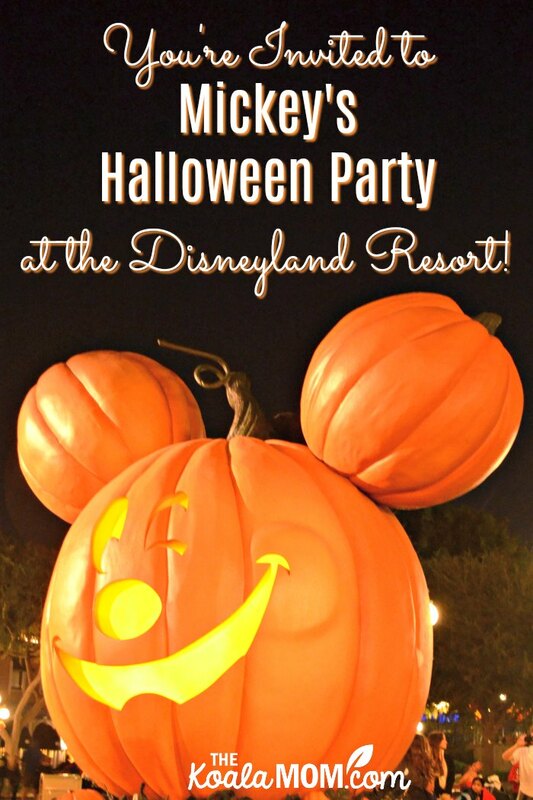 You're Invited to Mickey's Halloween Party at the Disneyland Resort! What better way to spend Halloween than at the Disneyland resort? Did you know that Disneyland holds a special event for Halloween? Mickey’s Halloween Party is a must do. Not interested in the party? Not to worry! Disneyland is fully immersed in Halloween decor starting in mid-August. They do not disappoint. We went in October 2015 and were in awe of the details and decorations. Fall is absolutely one of our favourite times to visit! When considering how many days you are going to spend in the parks, remember that you don’t need a park ticket on the day of your Halloween party (unless you want to go in the parks in the morning and stay through the day). Halloween party guests can enter the park 3 hours prior to the party start time. Mickey’s Halloween Party starts at 7 pm, so you can enter the park at 4 pm. Don’t forget to plan your Halloween costume! 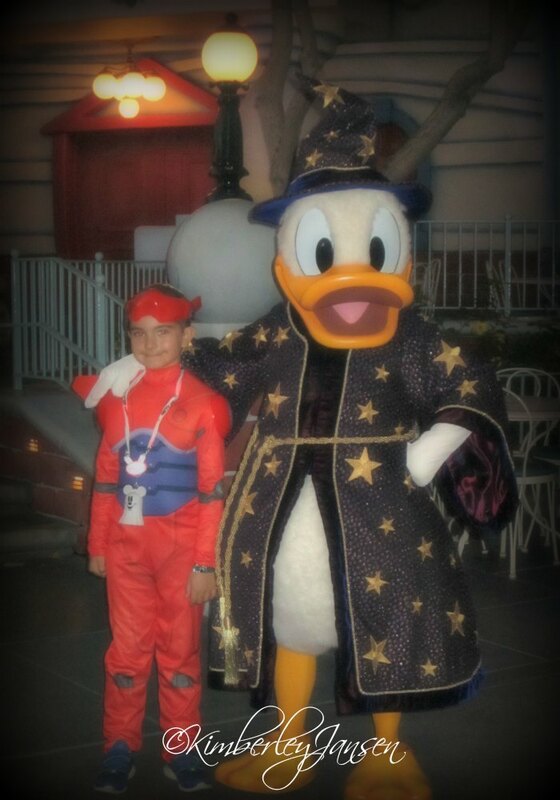 Guests of ALL ages can dress up! There are guidelines, such as no masks for adults, no weapons, and costumes can’t drag on the ground. Masks for kids under 13 are okay as long as the mask does not cover eyes. Dressing up adds to the magic and is great for photos. The minute you walk up to the gates, you’re greeted by Halloween. Above the gates you’ll find pumpkins—some are even your favourite mouse and his friends! Throughout the park you’ll notice big and small pieces. One of our favourites is the giant Mickey pumpkin right in the middle on Main Street USA. Here you’ll usually find Disney characters (some which are not regularly in the parks), as well as other decorations to celebrate the spooky holiday. Along Main Street you will continue to see pumpkins up on balconies. During the parade, they project images and Halloween designs onto the buildings of Main Street in Disneyland. 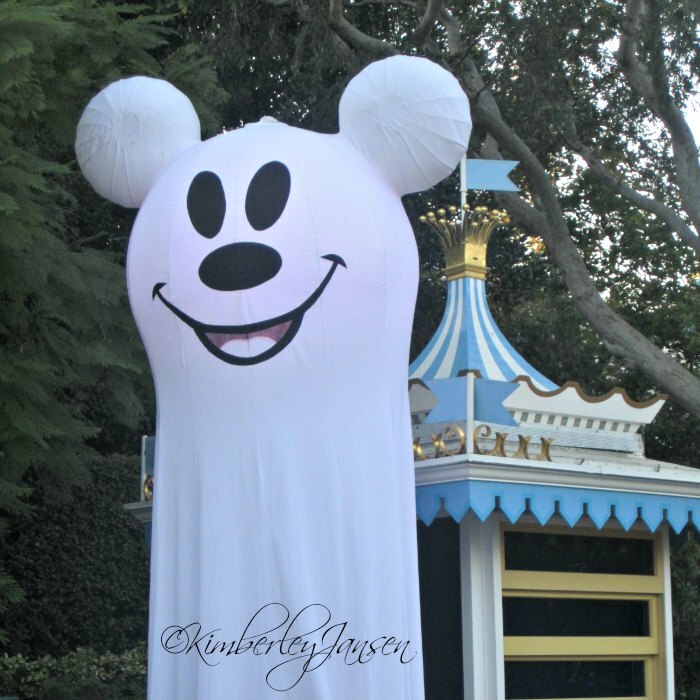 You will also see giant Mickey ghosts, banners, and more pumpkins! The Haunted Mansion gets a Nightmare Before Christmas layover, which lasts all through the Christmas Season as well! It definitely is fun to see it that way. Before the castle, we found pumpkins with some of our favourite characters carved into them. They weren’t real pumpkins, but they were still fun to check out. During the fireworks, the castle becomes eerie, with greens, and purples and oranges, and Halloween images cast all around (especially those pesky villains, I mean, what’s Halloween without them?). I suggest bringing in a bag for Halloween candy—YES you trick or treat in the park! (Parents, you get to trick or treat as well!!) You’ll be given a small bag, but you can walk away with heaps of candy (there are healthy treats too!) so you’ll want a bigger bag. Stations are set up through the park for trick or treating. Spend your time meeting characters dressed in their favourite Halloween costumes. I recommend getting photo pass so you can get amazing photos. You’ll also be grabbing candy and watching special events specifically for the party, such as parades and fireworks. One of the best parts? It’s not nearly as busy as a regular day so ride lines are almost non-existent! Go on the rides that normally have huge wait times. Anyone who knows Disney knows that things are always changing—that’s part of the appeal. 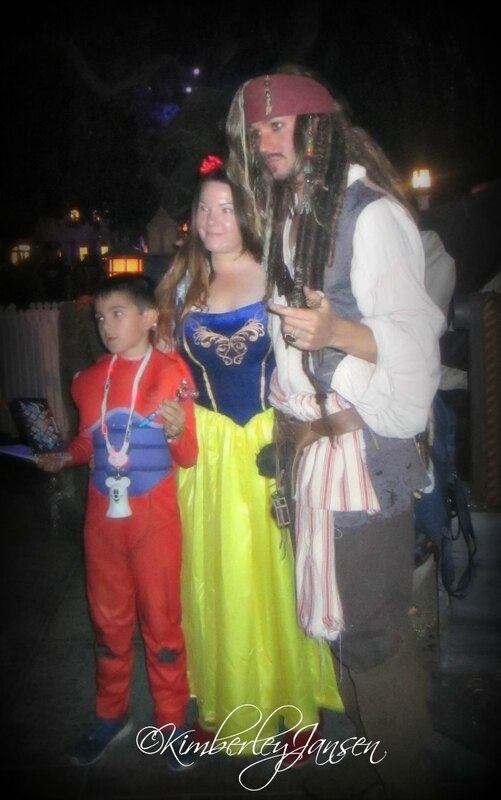 When we went for our first Disney Halloween experience, it was limited to Disneyland Park. Now it’s extended into Disney California Adventure and the entertainment is always changing! Make sure you try the special treats exclusive to the Halloween parties, grab that Halloween party merchandise and have fun! Have you been to Disneyland at Halloween? Did you attend the party? What did you dress up as? What was your favourite part?